Partha Gupta, after spending a good part of the last 12 years in the august company of the Himalayan sages, has created his latest e-workshop Breath Inside: Breathing like a child. In his workshop, ‘From Breath to Bodhi,’ Partha will impart techniques, tools, and insights to enable people to breathe correctly and meditate effortlessly. This will help seekers manifest everything they desire. 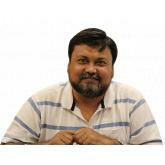 Partha believes, “That which we seek, exists in a certain breath frequency.When the frequency of our breath matches that of what we are seeking, it materialises.” His techniques will help the participants harness the power and the energy of breath to design a life of their dreams. Partha has been researching, meditating and documenting insights on "Breath" to reach out to all that each breath is a communication with life and as such all we need to know is to find our grammar right. Partha says "That which you seek exists; it exists in a certain frequency and one can find that frequency in one's breath and experience it in life" is a profound knowing which is a simple insight away. Pioneering e-workshops makes learning available right there at home encouraging the idea of you becoming your own trainer, "Breath Inside" too is one such effort. 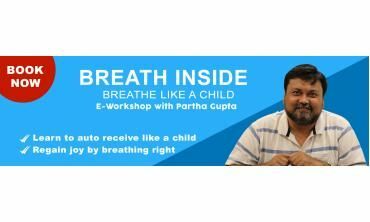 Introducing our latest product, an e-workshop called Breath Inside - Learn to breathe like a child. This is a first of its kind workshop in India. Stru. . .